Submitted 4 months 3 days ago by feeds user. 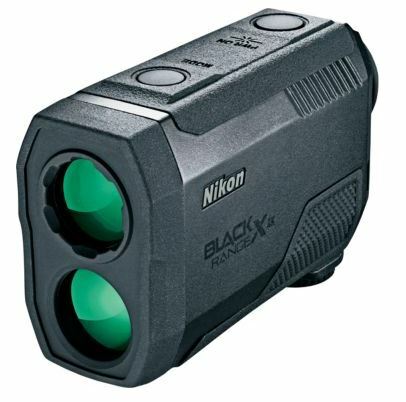 Nikon Black RangeX 4K Rangefinder Accurate readings over two miles Fully multicoated for maximum brightness, clarity and contrast ID technology measures true horizontal distance over hilly terrain Hyper Read laser provides a reading in about 0.3 seconds Easy-to-see red OLED Nikon has a complete line of optics Nikon's Black RangeX 4K Rangefinder delivers accurate readings out to 4000 yards – giving you the long-range accuracy you demand. Fully multicoated lens coatings maximize brightness and reduce reflection for true-to-life clarity and contrast. ID technology gives you true horizontal distance over hilly terrain. Super-fast Hyper Read laser delivers a reading in about 0.3 seconds, regardless of the distance to your target. Tru-Target technology provides two modes of operation – First Target priority mode which gives you the distance to the nearest object in any group of objects and Distant Target priority mode which measures the distance to the furthest target in a group of objects. Eight seconds of sustained reading allows you to calculate a moving target or multiple targets with one press of the button. Red OLED read out is easy to see no matter what the background looks like. 6x monocular. Nitrogen-purged design and O-ring seal ensures fogproof performance and IPX4 waterproof rating. Manufacturer's five-year warranty. 4.3''L x 1.6W'' x 2.9''H Eye Relief: 18.0. Wt: 6.3 oz. Color: Black. Cancer and Reproductive Harm- www.P65Warnings.ca.gov.